You don't need me to tell you that diapers become a huge expense when your little bundle of joy arrives. When I had my daughter and my friends told me that a majority of my weekly pay was going to be spent on diapers, they weren’t kidding! I literally went through 8-10 diapers (or more) each day. And I quickly learned that the trick to saving money on diapers is to buy in bulk, and to shop around online, especially on Amazon, where they offer pretty great deals on discounted and cheap diapers. You get a lot for less, and you can get diapers quickly if you sign up for a Prime Family membership or Prime Pantry account — it benefits moms because you can stock up on baby stuff, plus household items. Read on to learn how I always had great diapers in stock and how I saved on diapers, and check out the best Amazon diaper deals! Let me tell you, shopping for diapers online is totally the way to go, and the best way I know to get the best diaper deals. You can instantly do price comparisons, clip coupons to be applied to your orders, sign up for newsletters to receive additional discounts and coupons, and sign up for a subscriptions, all from the comfort of your couch. If you sign up for an Amazon Family account, you can expect to save on average 20% on items you’d be able to get at the store (sometimes you can pay as low as $0.09 per diaper with the discount and added coupons). Plus, Amazon Family orders ship in bulk, so you won’t find yourself digging for diapers, ever. It can get daunting when you need to tote an infant around to the store, especially when you are trying to concentrate and look around for a great deal. Plus, if you sign up for a subscription on a site like Amazon, you don’t have to remember to shop because diapers will actually show up on your doorstep as often as you specify. All you have to do is set up delivery and decide how often the brand that you want will refill your supply — and Amazon has all of the big brands that you’d find in any store. Another thing I love about Amazon is that they will also save all of your payment information so it gets automatically withdrawn from your bank account each time an order is placed. When you're buying diapers in bulk, one of the hardest things to figure out is exactly how many you should by of each size. While your mileage will certainly vary with your own baby, here is some general guidance you can follow​ for how many diapers of each size to stock up on. Again, these ranges are based on my personal experiences with my own two kids, but they represent a good range for you to be able to follow. I must admit, I have a slight obsession with Amazon. The site is so user-friendly (and it’s fun to shop), plus I love that you can clip coupons or even sign up for Prime (specifically Prime Family). Prime guarantees that you get any and every product labeled “Prime” in two days (or less; I have actually received items in one day). You can also take advantage of the site’s Prime Pantry, which is designed exclusively for Prime members, and it allows you to fill a ginormous box with items that include baby essentials, toiletries, and groceries for a flat rate shipping fee of $5.99. You can also sign up to become a part of the Amazon Family. If you have children, this is totally the way to go. 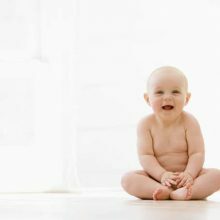 According to Consumer Reports, the average baby will go through 2,500 diapers in the first year! By signing up for an Amazon Family membership, you can be sure to save almost $250 just on diapers each year alone. Plus, do the math: your child will be in diapers on average until they are three, so it just makes sense to pay as little as possible for these baby necessities. The Amazon Family can include absolutely anyone who cares for your child, so grandparents and caregivers can also reap the benefits of this deal. After signing up, expect to get next day delivery! This will cause you to stop going to the store to pick up a pack, and becoming a victim of paying full price. While you have to pay a fee to sign up (no biggie in the long run), the first month after joining is totally free. The cost to sign up for a year membership is $99, but this also includes Amazon Prime (which many people end up using anyway because it allows you to get free shipping on other popular, personal items). Plus, if for any reason you are not happy with your purchase, you are eligible for free returns until you are satisfied. No questions asked. Amazon prides itself on awesome customer service. These are currently the best deals for cheap Pampers and cheap Huggies diapers, with the latest sales! If you are not shopping on Amazon for diapers, you are really missing out! It just makes sense, financially and logistically. As a mom, your time is valuable, and so is your money. Make wise investments that don’t require you to travel or waste time. Subscribe and Save on Amazon is an awesome deal. Here is how it works. First, you have to sign up (which is super easy on the site). All you need is five minutes and your personal payment information. The steps are basic, and simple to follow (which is good when you are experiencing “mommy brain”). First, you'll need the item that you want to "subscribe to". Just search for it on Amazon like you normally would. After selecting your size and quantity options, select the "Subscribe & Save 20%" button. Finally, select the your delivery frequency, and your start date! You will get a monthly delivery of diapers and in exchange you will get 5% off of the price! You can still take advantage of the 15% discount you receive for being an Amazon Family member, and even clip additional coupons. So, the saving options are pretty amazing, up to 20%! You’ll have all the diapers you need, and always when you need them. Shopping online for diapers is a must. After all, it’s not every day that you get to save money and have life made easier for you. Be sure to take advantage of all of the great deals and steals that Amazon has to offer, and be sure to share your savings with friends and family members.